Looking forward to round 2 of the #supercross tonight! 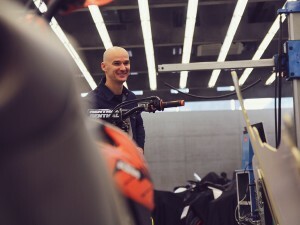 #Ktm #troyleedesignsThanks @craigdent20 for the shirt! 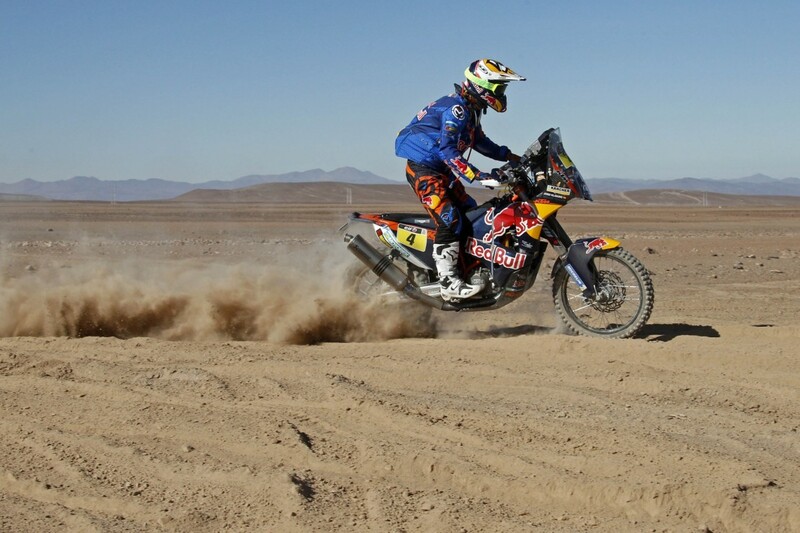 Stage Six of the Dakar Rally saw a great ride by KTM-supported Toby Price, who took a close second, finishing just one minute 10 behind the stage winner Helder Rodrigues of Portugal. 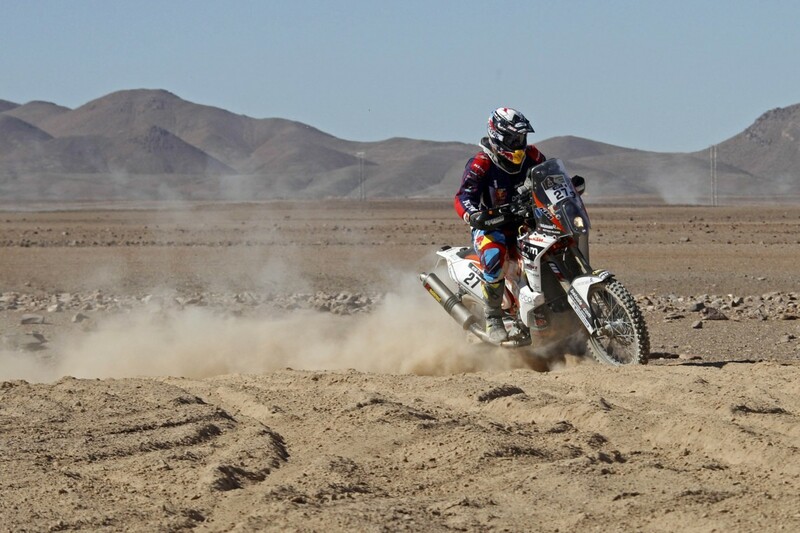 It was the Australian Desert racer’s best finish so far as the 2015 edition concludes the first half of the nearly 9000 km distance at the Chilean coastal city of Iquique. 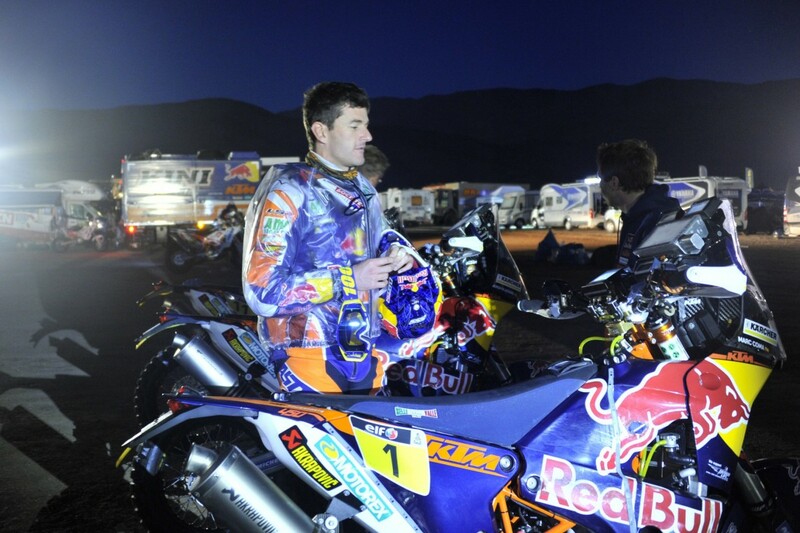 Red Bull KTM’s Marc Coma finished eighth overall after being shadowed by his main rival and fellow Spaniard Joan Barreda, who finished sixth. 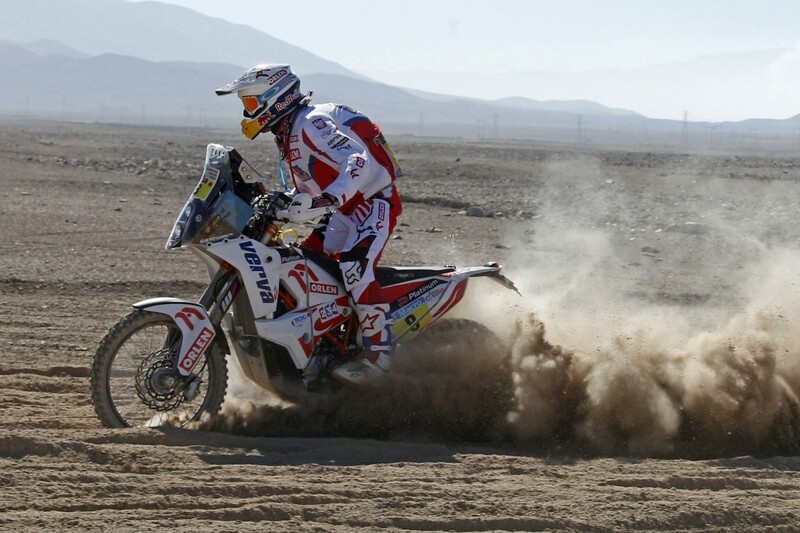 Barreda retains the overall lead as riders head into Saturday’s rest day. 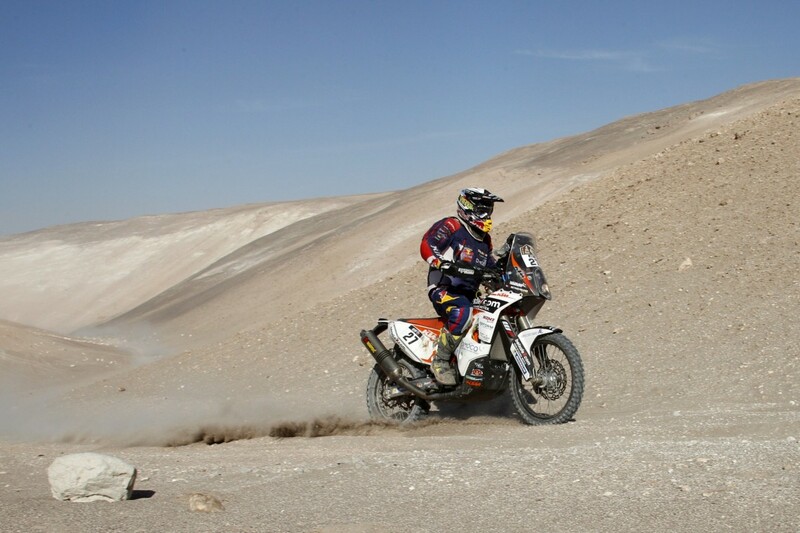 Coma’s factory teammate Ruben Faria finished ninth in the stage and is seventh overall at the half way mark. 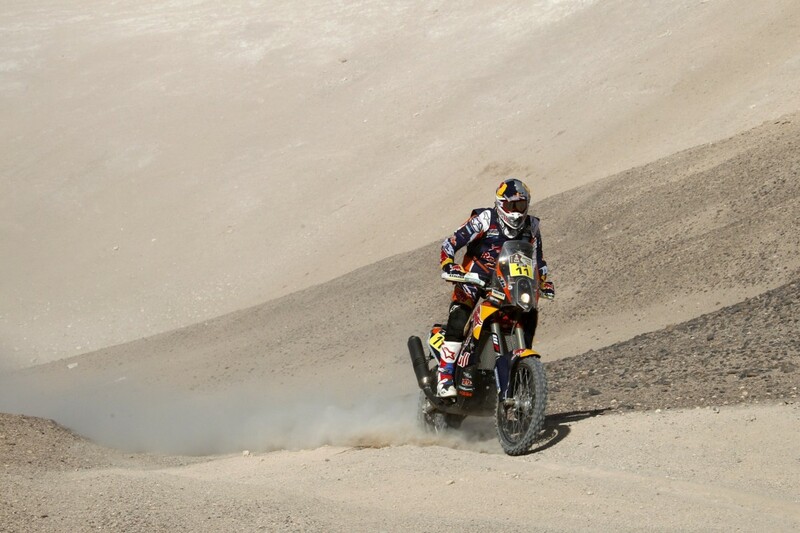 Teammate Jordi Viladoms struggled after missing a way point and was clearly disappointed at the end of the day. 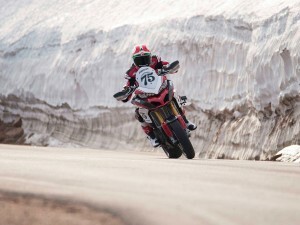 He wraps up the first week at eleventh overall. 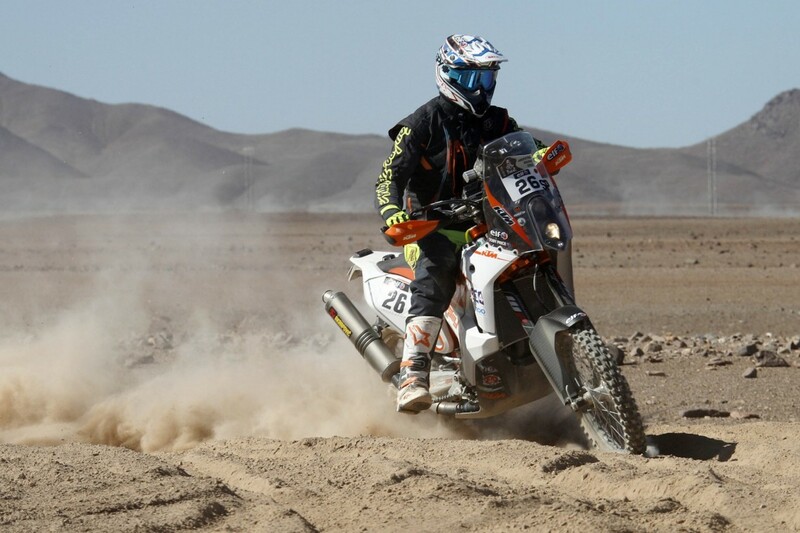 KTM’s other newcomer, Matthias Walkner, who was in a comfortable fourth position at the fourth WP then dropped down the order and was still to finish at the time of filing. 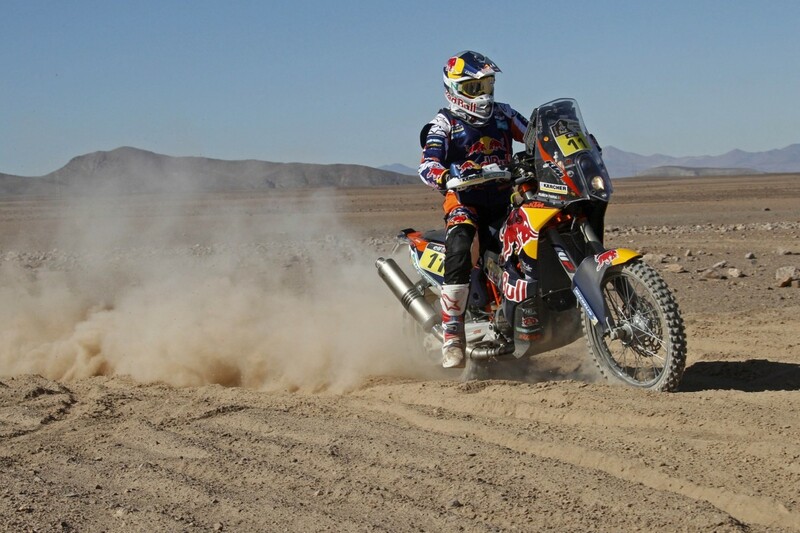 The team indicated he had had some fuel issues but this was to be confirmed. 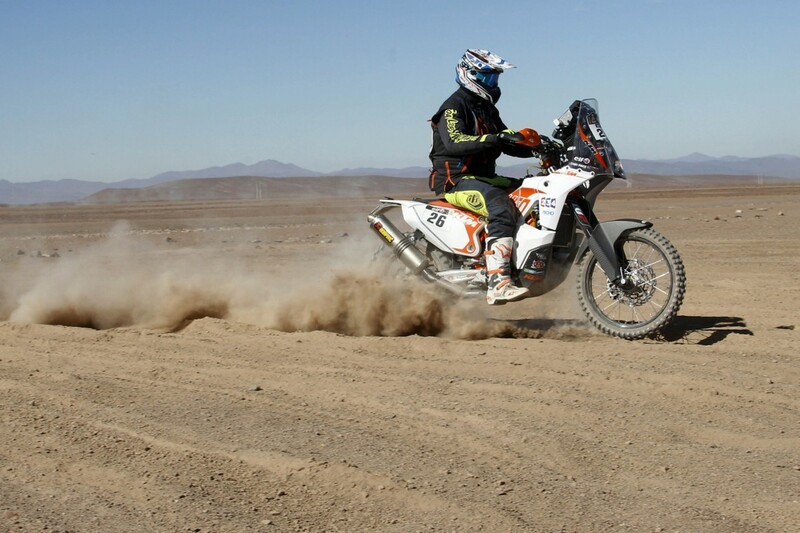 Up to this point, Walkner a former MX3 World Champion but new to rally and to the team, had been having a great first outing in his debut Dakar ride. 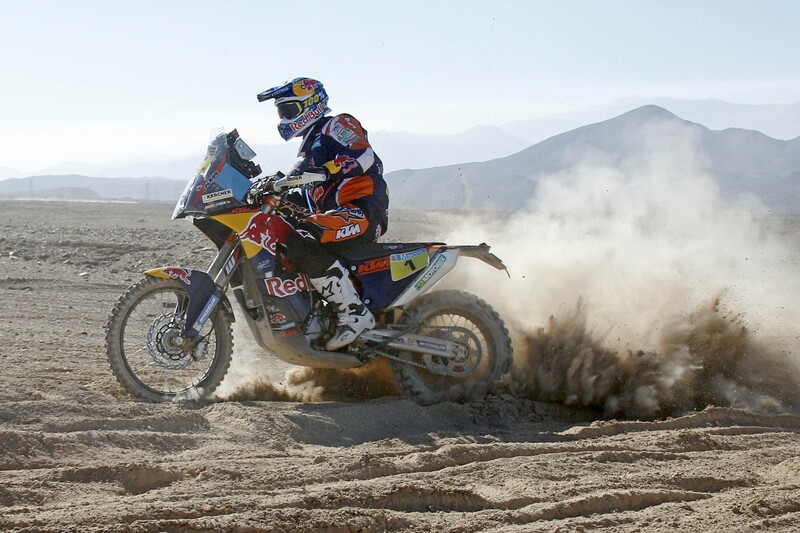 He won Stage Two and has been consistently up with the leaders. 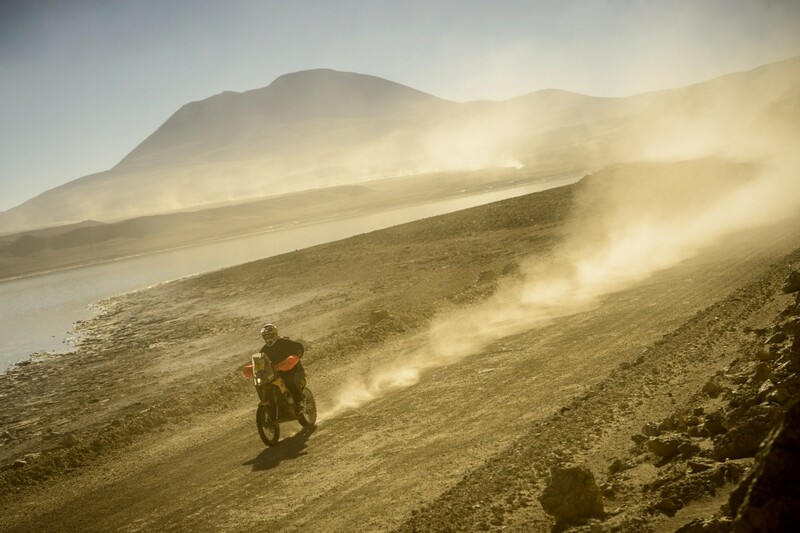 Stage Six from Antofagasta took riders north along the Pacific coast, then over some endurance-type terrain and along tracks in the spectacular coastal desert of Chile. 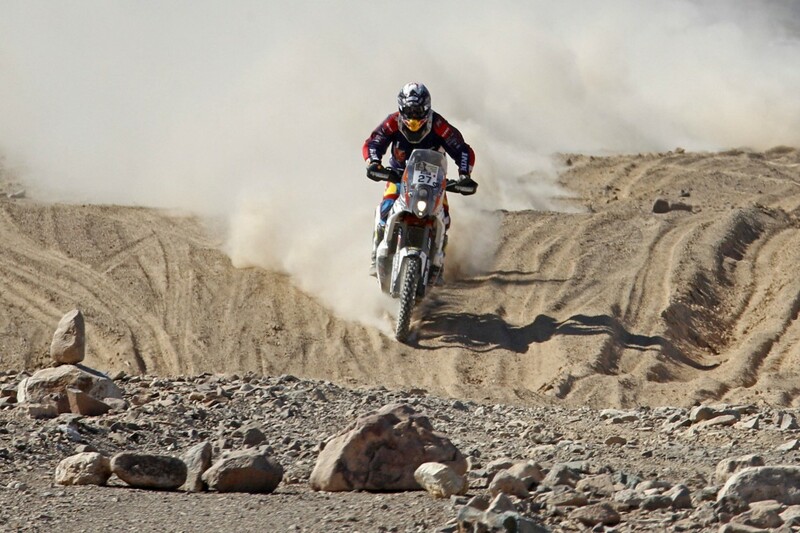 The total distance was 688 km, which included 319km of timed special, ending in a series of dunes that took riders into the heart of Iquique to a point in the city center, where Chilean fans came out in numbers to greet them. 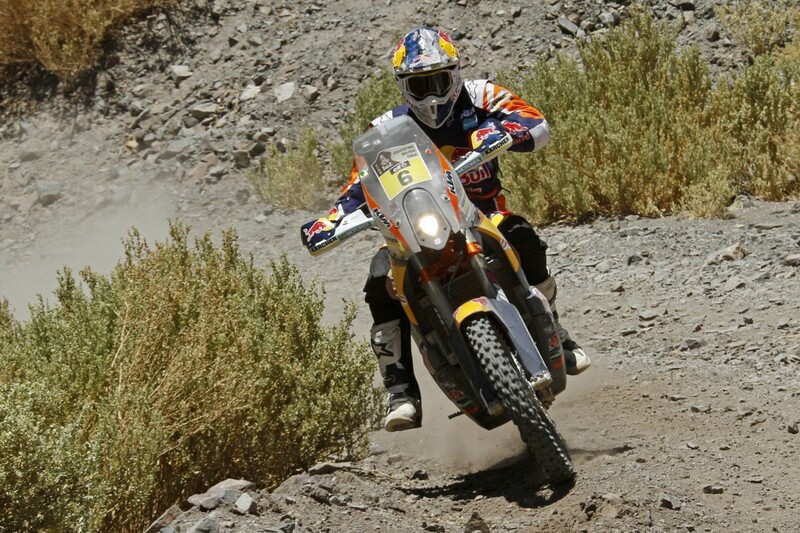 Ruben Faria said on the balance it had been a good result for him. 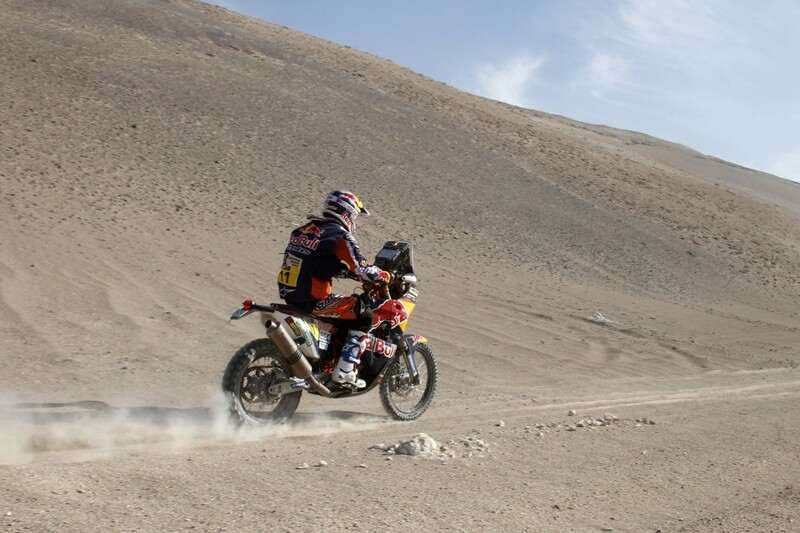 “The day was tricky and there were some bumps but in the end it was a good result. 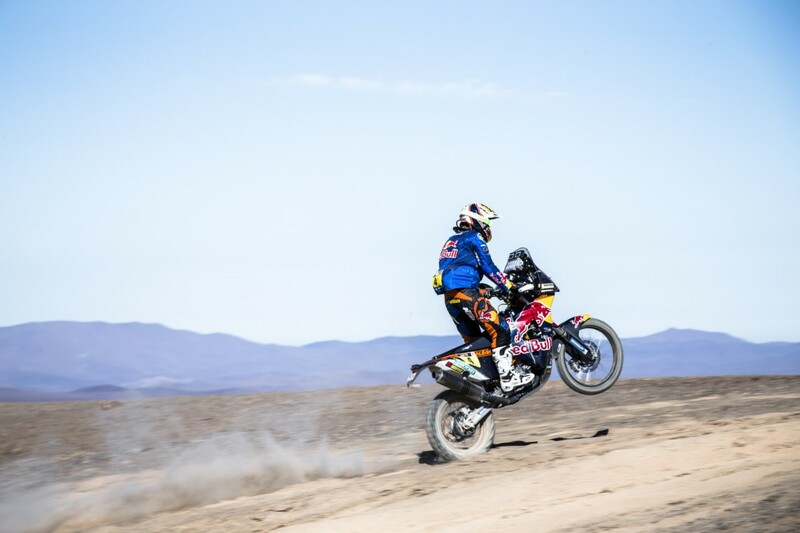 I am very happy to finish the first week.” Faria who injured his collarbone and wrist six weeks before the Dakar said he was looking forward to having some rest and recuperation on the rest day Saturday. 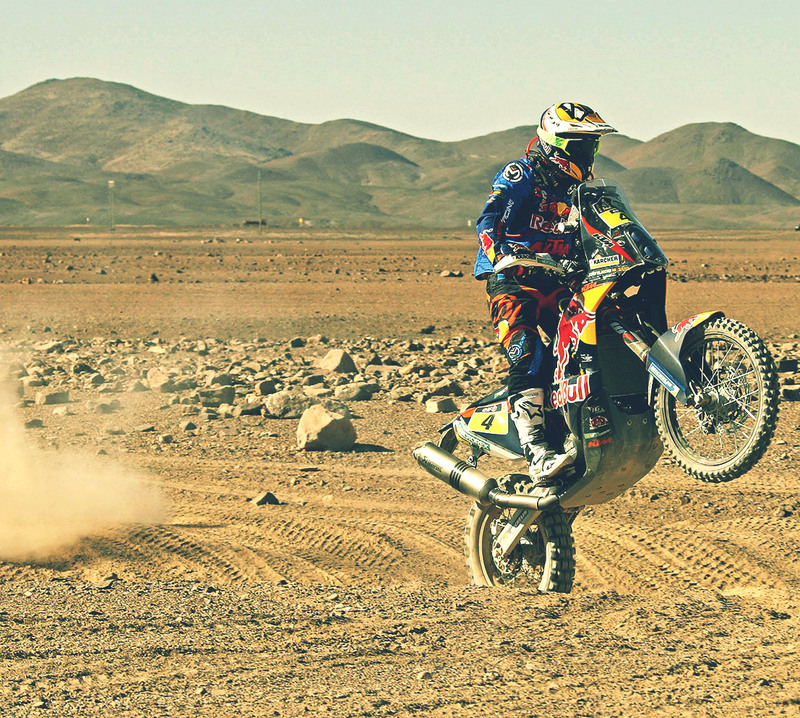 Riders and teams have their one chance to regroup, rest and recuperate on Saturday during the rally’s one rest day. 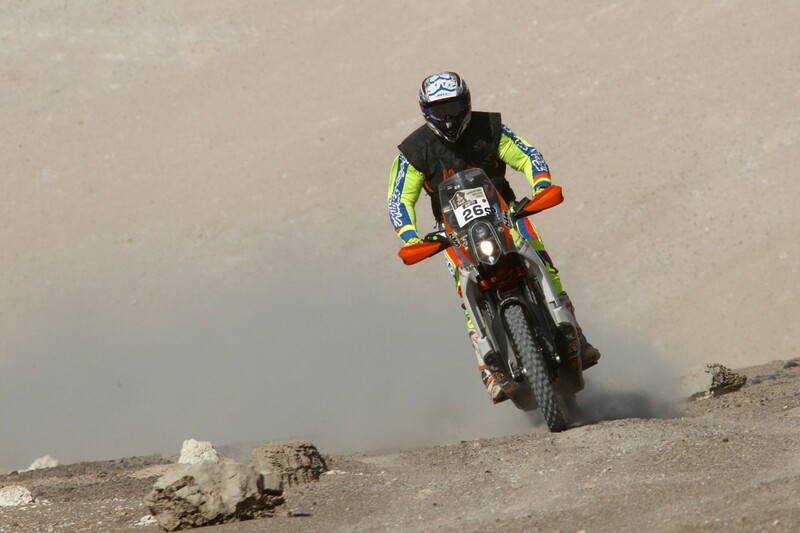 the KTM factory riders and supported riders are competing on the KTM 450 RALLY.